Have you ever had a teacher who was so good that you wish you could put him or her in your pocket so they were there when you needed help? Well, you can do that with web-based video training courses. Today's training videos cover a huge range of topics. The best courses get to the heart of the matter quickly, showing you how to perform complicated tasks. Most video training courses can be viewed on desktop computers, smartphones and tablets. 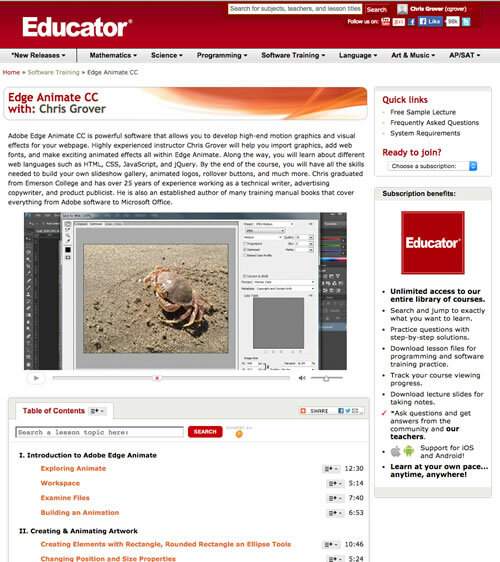 Chris Grover, owner of Bolinas Road Creative has written and recorded training courses for Lynda.com, video2brain, and Educator.com. Are you and your managers spending too much time showing employees or customers how to use customized software? Perhaps you need a training video tailor-made for your business. Microsoft Office has long been the industry standard for business. Mac users, especially at the enterprise level need to understand and use Word, Excel, PowerPoint, and OneNote in order to collaborate with business teams. 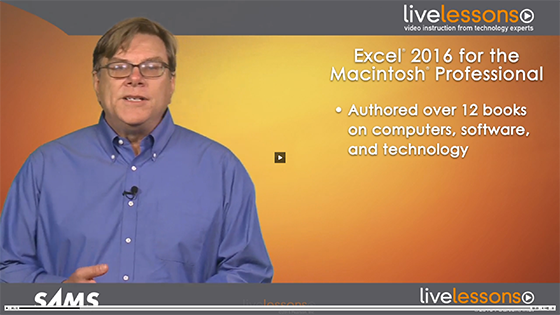 Viewers will learn to work efficiently using the industry standard tool of Excel 2016. Throughout the course of this LiveLesson, students move from the basic topics to advanced topics. Along the way, Mac-specific techniques are covered in detail and students learn how to customize Office applications to match their own work needs and style. Tip: While the video plays, click the button in the lower, right corner to expand it to full screen. Excel is the industry-standard spreadsheet program, and almost all of us find ourselves using it at one point or another. In this workshop, veteran author Chris Grover teaches you the fundamental skills you need to work with Excel, starting with basics like entering and formatting numbers and text, then moving on to writing formulas and using Excel’s built-in functions. 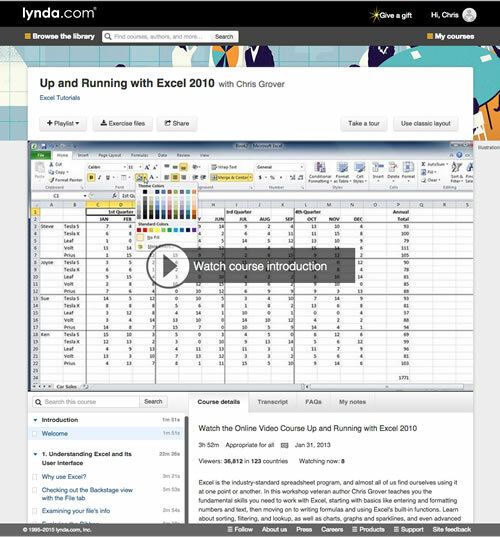 You’ll learn about sorting, filtering, and lookup, as well as charts, graphs and sparklines, and even advanced tools like pivot tables. 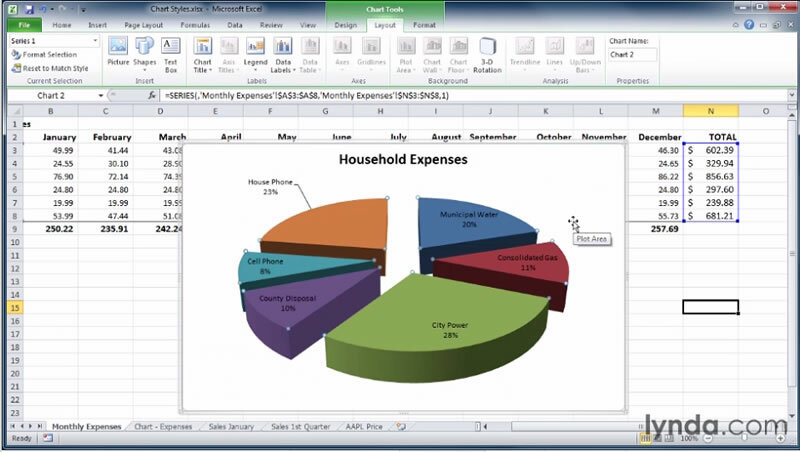 Along the way, you’ll become familiar with the new features in Excel 2010 and learn techniques for troubleshooting your spreadsheet when something goes wrong. Tip: While the video plays, click the arrow buttons in the lower, right corner to expand it to full screen. 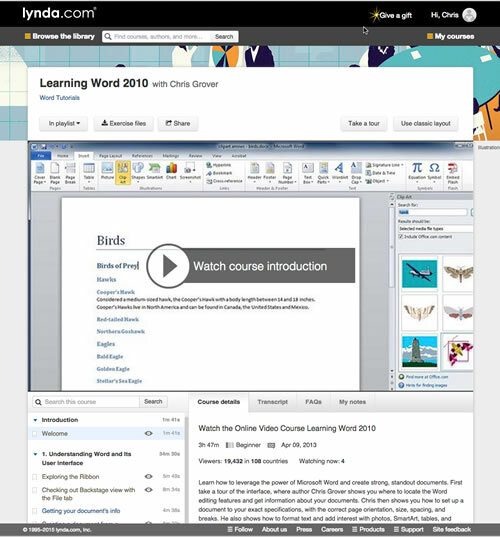 Learn how to leverage the power of Microsoft Word and create strong, standout documents. First take a tour of the interface, where author Chris Grover shows you where to locate Word's editing features and get information about your documents. Chris then shows you how to set up a document to your exact specifications, with the correct page orientation, size, spacing, and breaks. He also shows how to format text and add interest with photos, SmartArt, tables, and charts. Plus, learn how to collaborate with others using Track Changes and share documents via print and email.